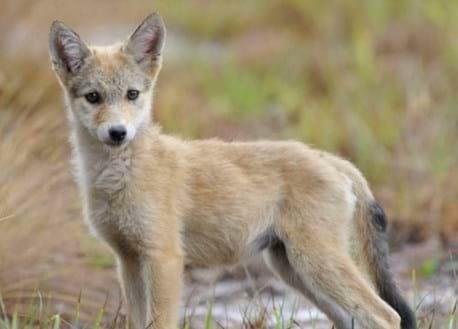 A coyote pup in the Florida landscape. 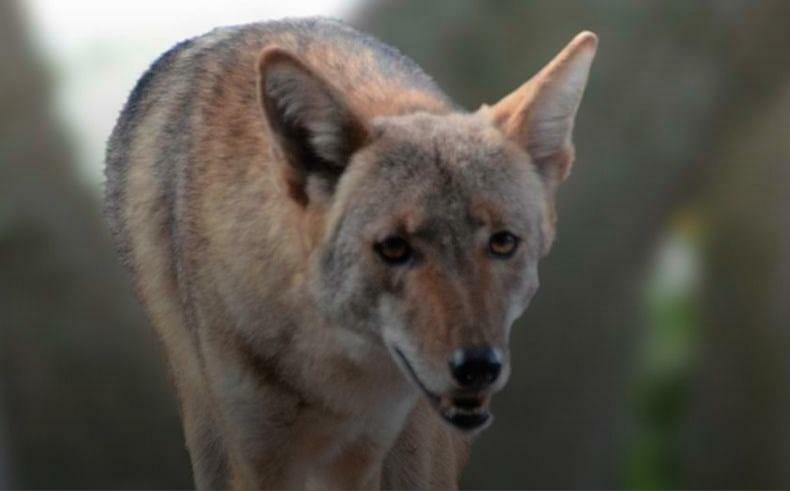 After multiple reports of coyote sightings in the Destin area, the Florida Fish and Wildlife Conservation Commission (FWC) will be holding a workshop Thursday to help residents live peacefully among the non-domestic canines. Coyotes can be found in all 67 counties throughout the state. Even in highly developed areas, such as Destin. From January 2018 through January 2019 there have been a total of 56 calls regarding coyotes in the Okaloosa/Walton area, said Carli Segelson, spokesperson for FWC. Coyotes were once strictly a western species. They came to Florida by natural range expansion in the 1970s and now live in every state except Hawaii. Most Florida residents are familiar with ways to detract bears from their homes — secure trash cans, pick up fallen fruit and keep pets indoors. The same rules apply for coyotes. The main attractant for coyotes, and most wildlife, is food. Keeping your trash secured, pets indoors and fallen fruit off the ground are good tips to keep coyotes out of your neighborhood. Like most wildlife, coyotes serve an important role in Florida’s landscape. They manage populations of rodents, insects and small animals such as skunks, raccoons, and foxes. Spotting a coyote shouldn’t be a cause for concern, Segelson said. They are usually timid and run away when approached. However, if you notice unusual coyote activity, you can report it to FWC by calling 850-265-3676. In some rare cases, lethal control measures may be taken against coyotes. But it’s a last resort. And according to the FWC website, eradicating coyotes is “inefficient and ineffective” way to control the population.